KITENDE – After CAF deemed the St. Mary’s stadium unsuitable for continental/international games, the hierarchy at Kitende knew they had to do something about it as soon as possible. Three months after the close of the 2017/18 season, the stadium has been turned into an Astroturf surface playground, in an attempt to make it modern and favourable for all fixtures. The newly laid playing surface was shown to the media on Tuesday afternoon, three days prior to the new season’s kick-off. “We found it necessary to improve the stadium especially the playing surface so as it is on the continental standard, said Vipers SC Patron Lawrence Mulindwa Tuesday. “There were numerous complaints about the pitch and we had to act quick. The most viable solution was to make it Astroturf since planting grass would take long periods of time. “It has been a challenging process as it required making a few trips to different countries including Rwanda to see how their pitches are and also getting experts from across the world for advice but i am glad it has all been completed before the league starts. Continued Mulindwa. “The surface we have installed is the latest edition of G3 pitches and am happy to inform everyone that it can last a whopping 40 years, something that is good for the coming generations. 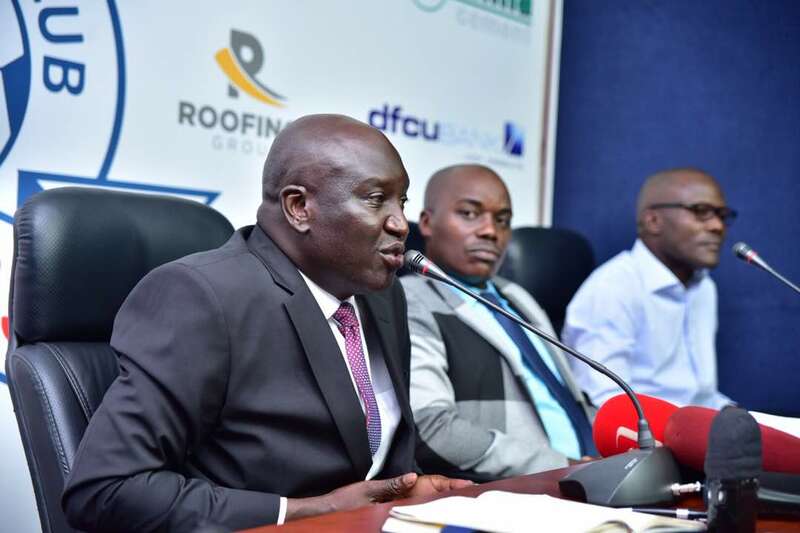 Refurbishing the stadium is the second phase in the development of the stadium as confirmed by Mulindwa. “I told everyone that we would be undertaking four different phases when it comes to the St. Mary’s stadium. “Phase one was to build it and we have now covered phase two which was to refurbish it. “The third phase will be the installation of floodlights so it can be able to host evening games. The last will see its expansion as we install stands in the west wing. The former FUFA President also confirmed that the project had cost millions of dollars and he will not tolerate being taken for a joke anymore. “Over the years, we have been taken as a joke but kept on investing in the game of football. “It is high time that everyone takes their role more seriously and stop taking us lightly after all we invest huge sums in the development of football in Uganda. “I am tired of the unprofessionalism exhibited by some people and i can confirm that if it does not stop, i am ready to go to the courts of law. A levied Mulindwa made the remarks also citing the unclear circumstances under which Pius Wangi and Ashraf Mandela were given the green light to join SC Villa despite having running contracts with Vipers SC. The duo who were expected to be loaned out this coming season took their case to the Players’ Status Committee which in turn ruled that the Venoms had breached the players’ contracts and advised the Wangi nd Mandela to move to a club of their choice. “We will not accept similar scenarios in future, continued Mulindwa. “How can such a committee have some of it’s members coaching clubs in the top tier and you expect neutral judgments? “We will sit put for now but we will those incidents will not be accepted at Vipers in future. One of the committee members is Mr. Paul Mukatabala who is a coach at SC Villa. As part of the refurbishment, the Stadium’s dressing rooms and other facilities including the Media zone have been upgraded. 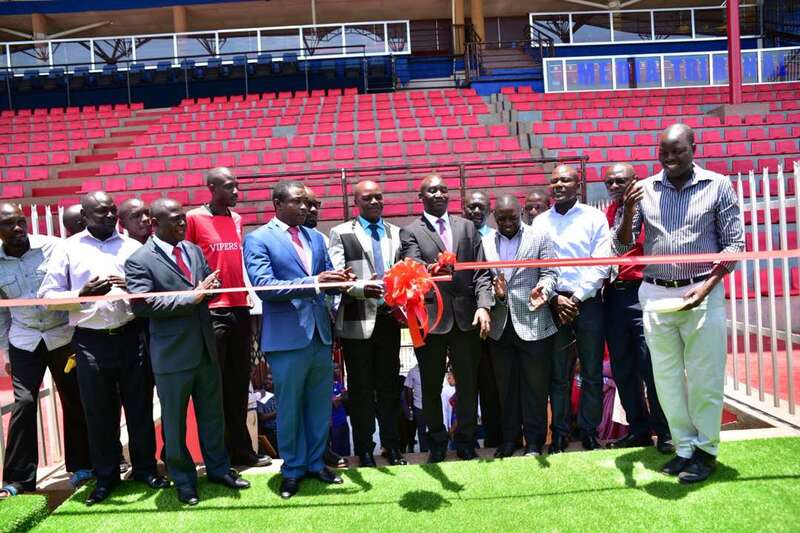 Lawrence Mulindwa (Back Suit) officially opening the newly refurbished St. Mary’s Stadium in Kitende. 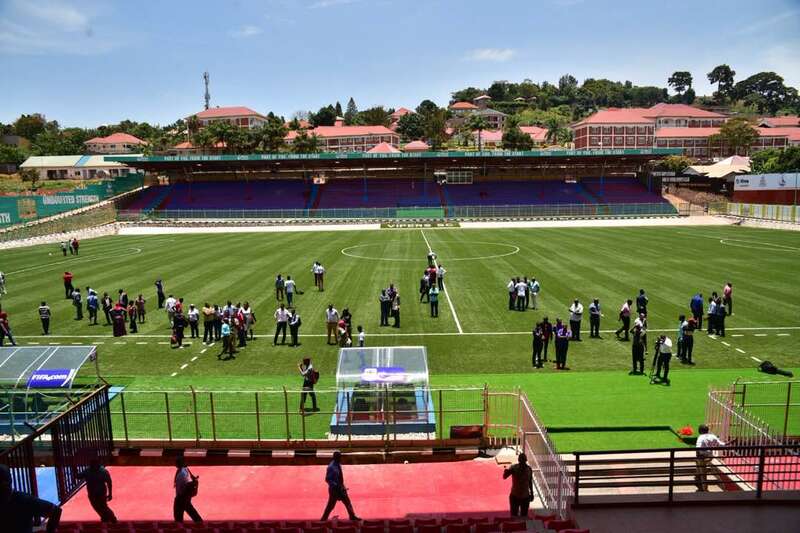 Vipers’ St. May’s stadium has been given the go-ahead to host FUFA games and will be used in the league opener on Friday against newcomers, Ndejje. This becomes the third Astroturf stadium in Uganda. The others are Njeru technical Center and StarTimes stadium in Lugogo.